When in doubt, sweat it out. 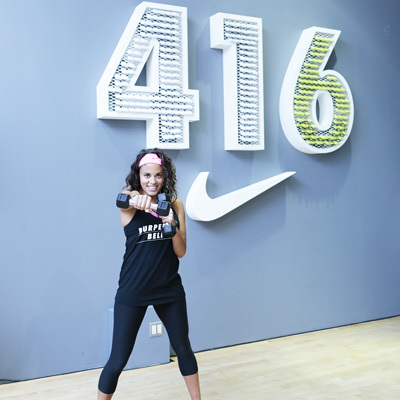 That’s the motto of the tough women who attended Nike Training Club’s Pop Up Shop in Toronto, and Nike made it comfortable and fun with the brand new Nike Pro Bra Collection. [slideshow] [/slideshow]At the NTC Studio Finale, guests got to show off their hard work by pushing through a workout, refueling at Nike’s in-studio juice bar, and having their photos taken by a professional photographer. We emailed photos while guests got physical so that by the time the workouts were through, the photos were already waiting in our guests’ inboxes, giving them a reminder of all their hard work and how Nike helped them look and feel good doing it.